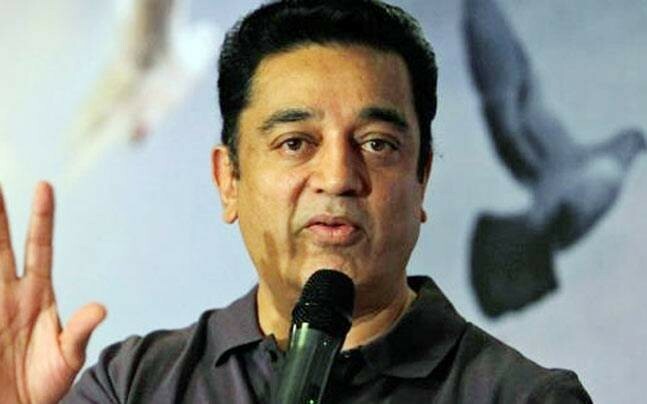 Kamal Haasan has called for strengthening a Pan Indian Dravidian identity and asked the chief ministers of all the South Indian States : Tamilnadu, Kerala, Puducherry, Karnataka, Andhra Pradesh and Telangana to have a join front so that they can have regional autonomy as well as act as a front against the north Indian Aryan dominance. As per a report published in the Hindu he said,’ If the whole of South India adopts the Dravidian identity, he said the collective voice of four Chief Ministers — Chandrababu Naidu (Andhra), K. Chandrasekara Rao (Telengana), Siddharamaiah (Karnataka) and Pinarayi Vijayan (Kerala) — will be heard in New Delhi. “We need not say that only Tamils are Dravidian people. People who speak other languages are also Dravidian. This thought should take root. This is my wish, he said. Dravidian identity concept is not new and all those who admire Periyar and his tireless work for the same know about it even when we know that Tamilnadu politics has drifted much faster from that identity than ever. Periyar is not even taught in the Universities in Tamilnadu, leave alone in India. Let me narrate another incident which happened to me when I was returning from Tamilnadu. It was about five years back and I was on the Tamilnadu Express. A woman was very disturbed because many trains had got cancelled or delayed due to ongoing Telangana struggle particularly between Khammam to Warangal. She was going for an interview to Delhi and was becoming restive. I inquired and sympathised with her. Later during the talk, she said Tamilnadu is a gone case and asked as why I came here. I told her about my admiration for Periyar and informed that I participated in a programme and went to Periyar Thidal, met people and discussed many things. As I was speaking about Periyar, this woman became terribly upset. ‘ Oh that man, who married to a young woman’, she said. I said, what was your problem. Did the woman complain? This was a matter between the two individuals. She termed Periyar as amoral and hypocrite. He abused the brahmins and that is why all the polity here is based on abusing the brahmins, she said. I love north as it is better there and people dont abuse us. The woman was actually a Hindi teacher from Tamilnadu. I would wonder if Kamal Hassan’s call for a common Dravidian identity will ever go down well with the brahmanical chief ministers. Both K.Chandrashekhar Rao and Chandra Babu Naidu belong to Kamma and Velma communities of their respective states. Both attempted to frame Rohith Vemula and his family by terming him as non Dalit. Both the chief ministers have no words for the family of Rohith or SC-ST-OBC students in the Hyderabad Central University and Osmania University campuses when they were being falsely framed by the police in various cases because they protested and sought justice for Rohith Vemula. We should see the situation in Tamilnadu today. Parties like PMK are openly seen as anti Dalit. The dravidian parties used the Dalits just for the sake of their votes and actually disempowered them. What could have been a natural alliance was failed by the Dravidian politics as it reflected brahmanical biases against them. If the number of honor killings are counted, Tamilnadu does not remain progressive and can be counted along with Haryana regarding the brutal violence against Dalits. Tamilnadu’s peculiarity also comes from a fact that parties like Puthia Tamilgam in South Tamilnadu which were instrumental in mobilising Devendra Kula vellalar and seeking an intervention from the Central government to delink them from Dalits as they feel social and cultural biases because of ‘being’ Dalit. We have never come across any such case elsewhere in India where political leaders of a party mobilised a community to get out of the scheduled castes list and openly terming their association with dalits as harmful. Kamal Hassan’s colleague and friend Rajnikanth has already said that he is a ‘spiritual’ person. We all know both Rajni and Kamal enjoy huge mass adulation in Tamilnadu. Kamal openly professed that he is left leaning while Rajni’s spiritualism has gladdned the heart of the Hindutva ideologues S.Gurumurthy who is quoted by Swarajya Magazine suggesting that it was the right time for Rajni to enter the politics to save the state from the dravidian politics. I quote, ‘ I’m not surprised by his inclination, or even determination, because there is a huge gap in Tamil Nadu today, with more than 50 per cent of the Tamil people, Tamil voters, and maybe 75 per cent of the youths wanting to move away from both these Kazhagams, DMK and ADMK,” said Gurumurthy. “This yearning among the people is really opening up a huge possibility for Rajinikanth’, he adds further. Dravidian politics of Periyar would be unacceptable to brahmins and other dominant castes in the South who would find more camraderie with their north Indian counterparts. Caste identities are becoming more powerful than the regional identities. Fact, is the bogie of regionalism is only to strengthen the brahmanical hold in the local polity. Regional identity today can not supersede caste identity who are seeking more representation in power structure. A state like Telangana where the OBCs-SC-ST-Muslims form more than 90% of the population is still ruled by Velmas, Reddys and other powerful castes. It is they who used the Telangana sentiment for their political purposes. A person like Shashi Tharoor has perhaps more in common with North Indian as well as Hindutva than the Dravidian politics. Mani Shankar Aiyar will find himself less comfortable in the company of the Dravidian politics. Even the upper castes and those associate with brahmanical Hinduism actually dissociated with the Dravidian politics. Sri Lankan Tamil and those in South East Asia are more rigid and deeply embedded into the brahmanical rituals. Caste system among expatriates is much higher and perhaps Periyar’s revolutionary ideals did not influence them because they love their caste identities. Honor killings do happen in the South and Dalits are still isolated and hated in these states very much like what happens in the north. After the Mandal politics these caste relationships became stronger. We should not forget that the biggest adulation for V P Singh happened in Chennai after he announced the acceptance of Mandal Commission Report on August 7th, 1990. When the north Indian upper castes erupted in sporadic violence against this, DMK organised a massive show of strength on Marina Beach for V P Singh where nearly one million people participated in the rally. Terming the entire north Indians as Aryan is a dangerous theory. India’s caste question is not merely black and white as Baba Saheb said. A South Indian brahmin can be dark in color and a north Indian Dalit may be a fair skinned too but color of skin is not powerful enough than your caste identity. The discrimination will be based on your castes. There may be some discrimination based on colour as we know we suffer from a fair skinned disease too but they are normal traits among all communities. But when the question of identities come, terming entire north as Aryan and entire South as Dravidian will not benefit all and it will actually cleverly bring the polity in the hands of brahmanical forces. Can we term the Dalits, shudras and aadivasis in the north India as Aryans ? Kamal Hassan is welcome to Politics and in case he has not studied Dr Ambedkar, Phule and Periyar, I would request him to do so. Regional identities are nothing but to dilute the huge socio-cultural agenda of those who are our revolutionary icons. We have no problem if the states join hand and seek more money from center and form their groups but this is just a caution that merely regional identity will not suffice for forging a bigger alliance. Kamal Haasan need to be clear on issues whether he share the concerns of his friend Kannada film star Prakash Raj about today’s polity and threat that we face. Unless he defines what are the threat to Indian democracy and who could be his allies, Kamal Haasan may end up in weakening the social justice agenda in Tamilnadu. We want him succeed but he has to be deeply careful. We know Dravidian parties in Tamilnadu have done many thing wrong but they are still far superior to the brahmanical parties of North India. Kamal Haasan need to strengthen the secular agenda of the forces of social justice and use his wisdom to bring all such forces to defeat the corporate-religious forces in India.